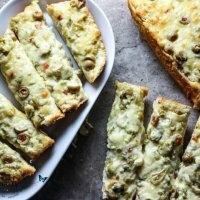 While Ree’s recipe calls for French bread, I’ve tried this Jalapeño Olive Cheese Bread on both Italian and French bread. 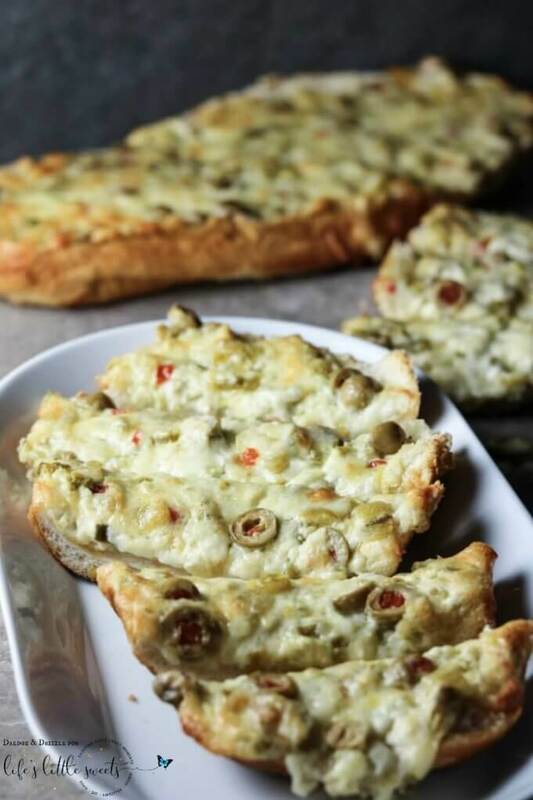 (Italian bread is shown in the photos.) You can use whichever you like better or whatever is available in your local bakery. 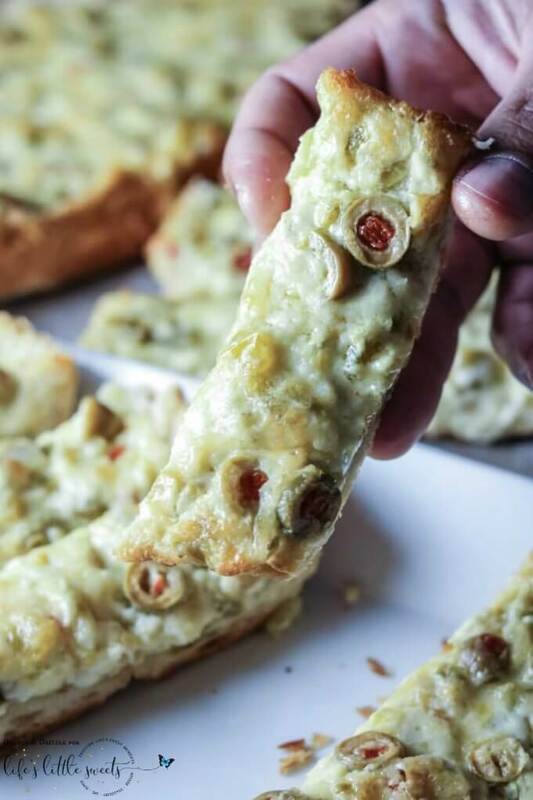 I made this Jalapeño Olive Cheese Bread for a New Year’s Eve appetizer. It went perfectly with my Grape Jelly Meatballs (and champagne, of course). 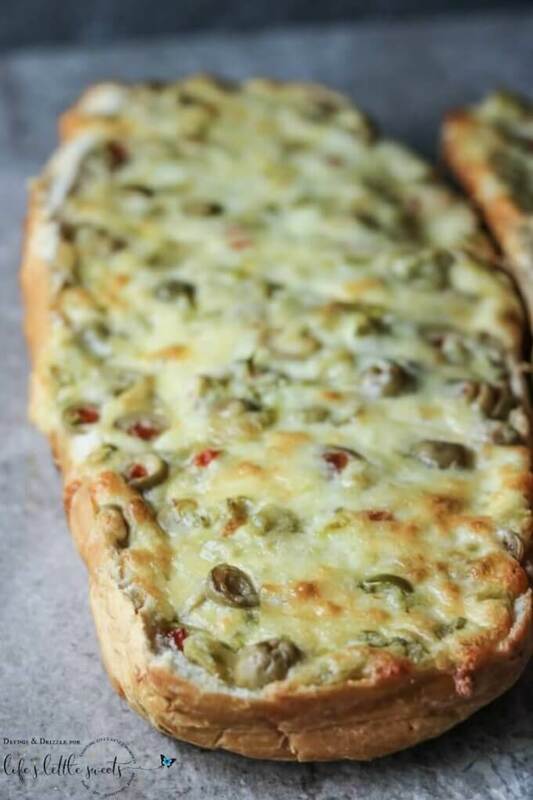 If you happen to have any leftover, it does warm up and crisp up well in the oven. I have also baked 1/2 and wrapped up 1/2 unbaked and put it in the fridge to bake another day. Another awesome way to enjoy this recipe is to omit the bread, bake all the ingredients in an oven-safe bowl, and serve as a dip with tortilla chips! Comment below and let me know how you enjoyed this recipe! 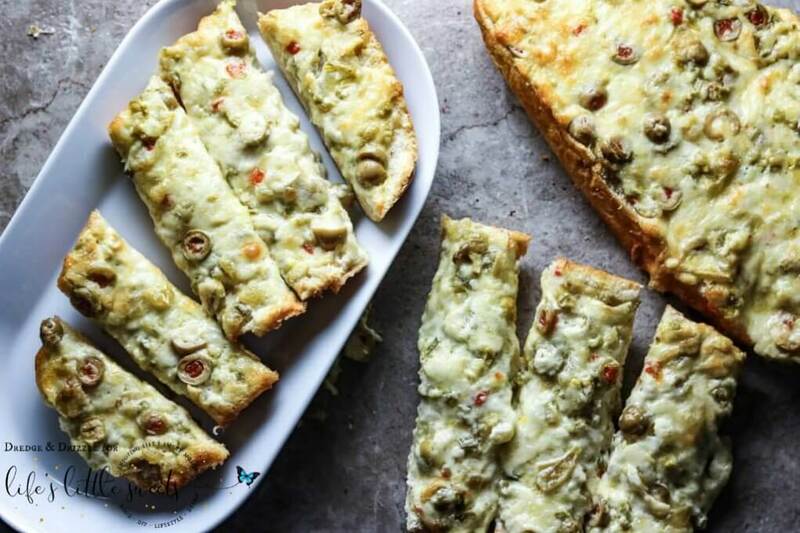 Green olives (which are my favorite), two kinds of cheese, butter, green chiles… and, oh yes, jalapeños. In a medium mixing bowl, mix the butter and mayonnaise together well. Add the jalapeños, olives, green chiles, and scallions and stir. Using a butter knife or spreader, spread the mixture onto the bread. Bake for 25 minutes or until the cheese is as bubbly and brown as you like.